Welcome to the world of microbiology! Meet the bacteria, viruses, and other germs and microbes that are all around, but too small for us to see. Learn how they keep us and our world running. What do a squid that glows, fungus that grows, and tiny creatures in the soil under your toes all have in common? They're all part of the world of microbiology! In this awesome introductory book for kids, you'll find out about bacteria, viruses, and other germs and microbes. The Bacteria Book explores why we need bacteria, and introduces readers to its microbial mates - viruses, fungi, algae, and protozoa. Bacteria are the most important living organisms on Earth, and 99 per cent of them are helpful, not harmful. Without bacteria, we wouldn't have bread or cheese, and our bodies wouldn't be able to work how we need them to. Microbes keep us and our world running in surprising ways. This book will show you how, through real-life examples of microbiology in action. 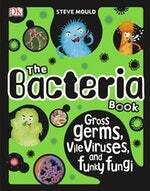 The Bacteria Book is a fun and informative introduction to a STEAM subject that brings kids up-close with the big world of tiny science. With remarkable photography, kooky character illustrations, and lots of fun facts that toe the line between "ew!" and "oh! ", it's the only book on microbiology young scientists won't want to put down. 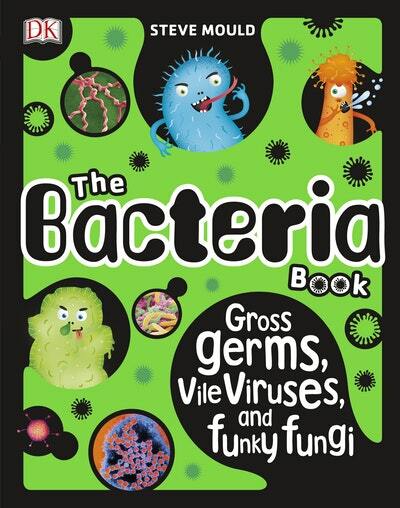 Love The Bacteria Book? Subscribe to Read More to find out about similar books.